Welcome to my kitchen! By most accounts, I spend way too much time in here – experimenting with new recipes and planning the next meal or party when I should be exercising or starting those baby books. (The kids are now 9 and 7.) But the heart wants what the heart wants, and in my case the stomach goes along for the ride. Pull up a barstool and join me! With Thanksgiving only a few days away, you might be expecting some exotic new stuffing or cranberry chutney recipes here. Sorry to disappoint. For me, there are 364 days a year to experiment with new recipes, and then there’s Thanksgiving. I might get a little crazy and add cognac to the gravy one year, but that’s about the extent of it. I’m happy with the same roast turkey, same herb stuffing, same candied sweet potatoes, same mashed potatoes (no add-ins other than butter, milk & salt), same tart cranberry sauce*, same apple and pumpkin pies. Call me boring if you want, but I find ultimate comfort (and deliciousness!) in our family’s traditional meal; why mess with a good thing? *In full disclosure, the tart cranberry sauce I make now was not what we had growing up. We had the jellied kind from the can, sliced into circles and fanned out in a cut glass dish. Tradition mandates that we serve it this Thursday as well. But in addition, we’ll have the Tart Cranberry Sauce I started making a few years ago – a super-simple recipe of fresh cranberries and a little sugar. Cutting back on the sugar allows the cranberries to shine, and I love how the tartness of the cranberries wakes up your taste buds and helps cuts through the richness of the rest of the meal. (Thus making it easier to go back for seconds.) This sauce could be made several days ahead, and brought to room temperature before serving. Happy Thanksgiving! Bring to a boil, stirring occasionally until berries start to pop (approx. 5 minutes). Continue to stir and mash berries against the sides of the pan until thickened. 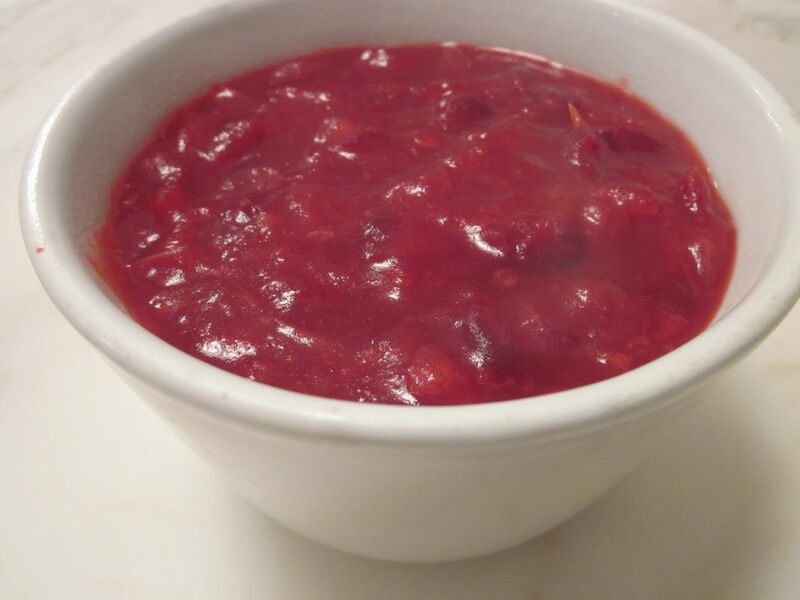 This entry was posted in Holidays, Sauces and tagged Cranberry sauce by subeeskitchen. Bookmark the permalink. J’adore deja ce blog !!!! Pass me some of that tart cranberry sauce, that looks delicious! Happy Thanksgiving! I bet that would spread out nicely on a turkey sandwich later in the day. So excited to follow your blog. I need a new kitchen guru. I’m tuned in! So happy for you! Your blog looks beautiful! Have a wonderful Thanksgiving on the West Coast! The cranberry sauce looks absolutely delicious. I can’t wait to read future posts and I just love your approach for a traditional and stress-free Thanksgiving! Looks awesome! The Cranberry Sauce AND the blog. Looking forward to future posts from Subee’s Kitchen!! great beginnings, Suzie Q…so excited for your new venture! 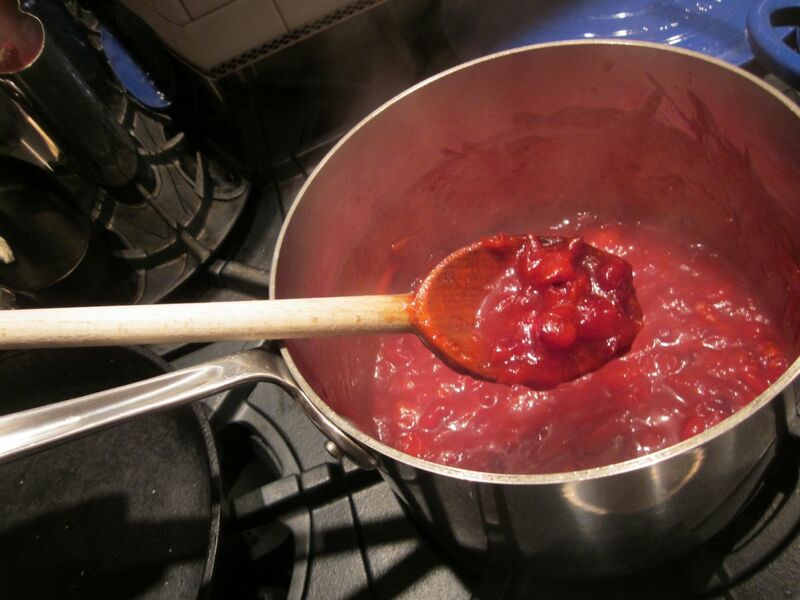 Cranberry sauce is the first thing I make…love how the cranberries pop and making this is about as complicated as opening a jar of the jellied stuff. Thanks for this recipe and Happy Thanksgiving! Congrats Sue on the new endeavour! Looking forward to following your kitchen adventures! 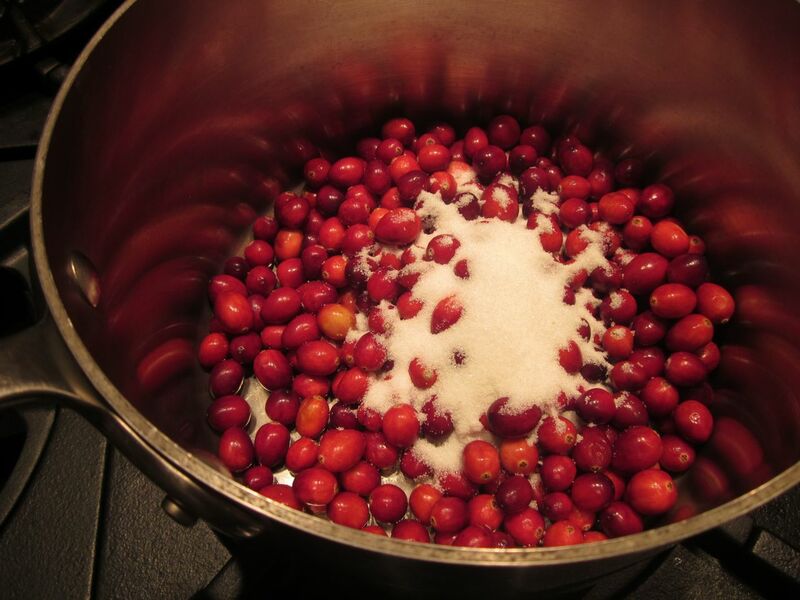 Thanks Sue – I just made my cranberry sauce today – yes we are breaking out and cooking Thanksgiving! Only I added in a little more than 1/2 cup sugar, okay – a lot more 🙂 Congrats! This looks great and the recipes are making me hungry! I look forward to your launch party and wish you much success!!! Your blog is spectacular! I thank you sooo much for doing this and helping ME out in the kitchen! Plan on trying those magic bars during the holidays and all the rest of it when time allows! See you at your Launch Open House 🙂 Best of luck….